Shop Front Re-coating in Cardiff Bay. 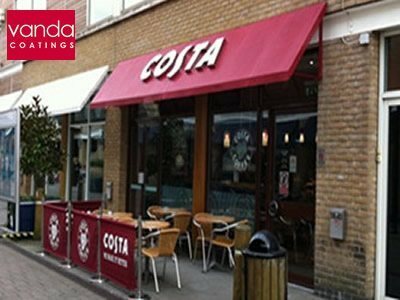 Vanda coatings recently carried out a shopfront spraying project at Costa Coffee in Cardiff Bay. The existing powder coated framework and doors required recoating because a colour change was needed. Our trained site sprayers carried the work outside of normal hours to avoid disruption to the customer.